Work on the new display cases in Cushwa Hall (home of the Bitonte School of Health and Human Services) continues. There are new items in the four cases near the Lincoln Avenue entrance. These cases now feature artifacts from a wonderful recent donation to the museum from a local surgeon. You can read more about the donation here. These items in these cases will continue to be changed every semester. The big news is that the custom made, full length display case on the 2nd floor has been finished. A local company that specializes in custom made museum cases completed the work last week. This display cases was designed to showcase the numerous medical uniforms in the museum’s collection. 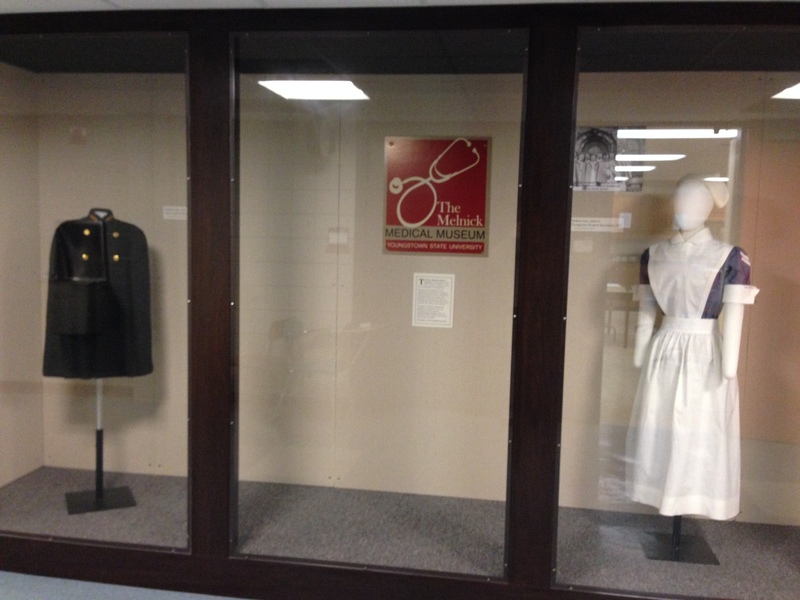 Many of those uniforms are nursing uniforms from local hospitals, but we also have some military uniforms and surgical aprons and gowns that will also make appearances in this display case. This display case is situated near the nursing department offices. 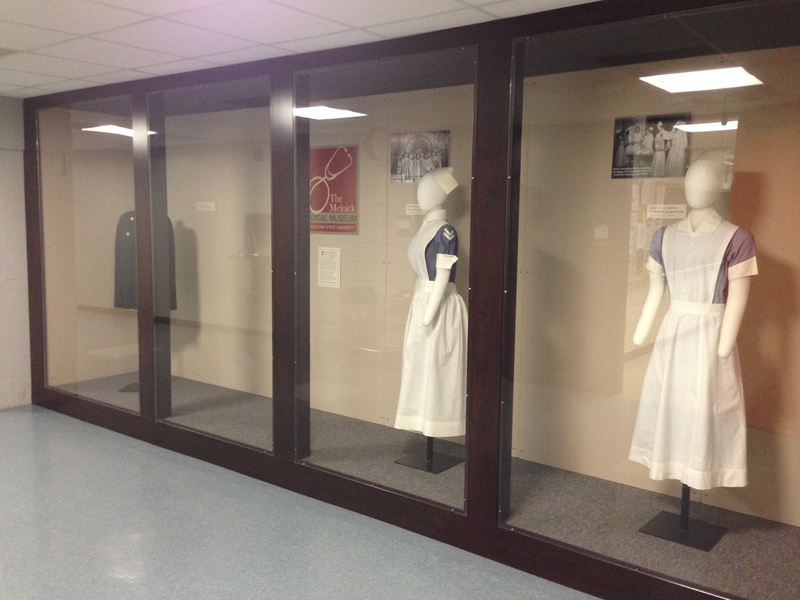 The inaugural display features local student nurse uniforms and photographs from the 1950s. The wool uniform cape is a popular item. If there’s a revival of capes, you can thank this display! The last step in this project is add some new track lighting for this case. It should look really nice!